New ‘Welcome . Bienvenue’ signs now greet those entering the ‘Uptown’ of our city, compliments of your Business Improvement Association, Uptown Saint John Inc.
Three custom made gateway signs, crafted locally, show off the new ‘Love Life Uptown’ branding so popular with those who frequent uptown. 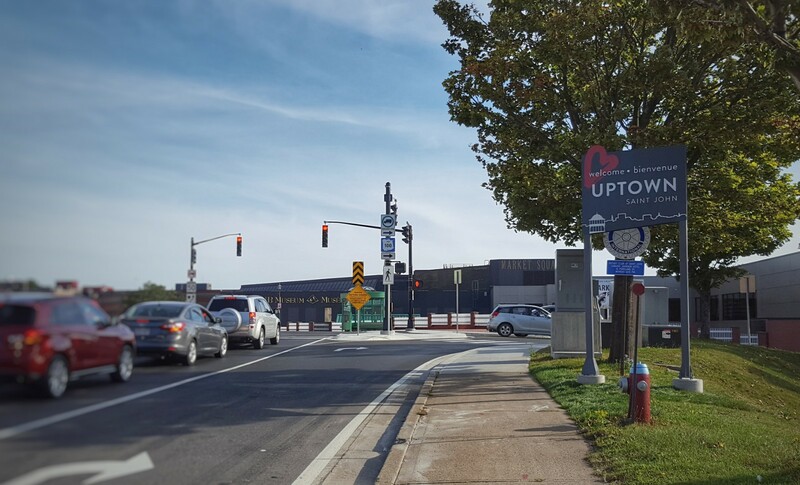 The signs are installed at three entry points to the uptown peninsula; the corner of Main St. and Union St., Somerset Street, and Crown Street. 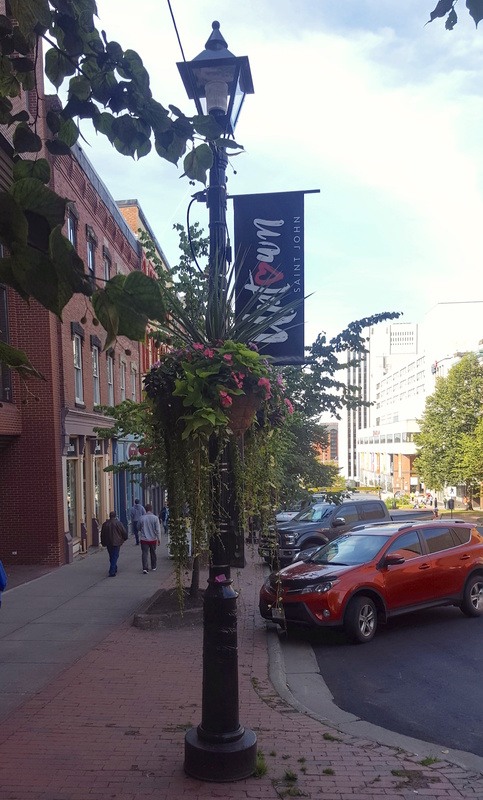 The Uptown Saint John Urban Design & Development Committee lead this vision, including consultation with Saint John Energy, The City of Saint John, and various other stakeholders – always keeping in mind and the importance in staying consistent with the existing Neighbourhood Plan. Also of note, the first installation of our newly branded light-post banners are now installed. 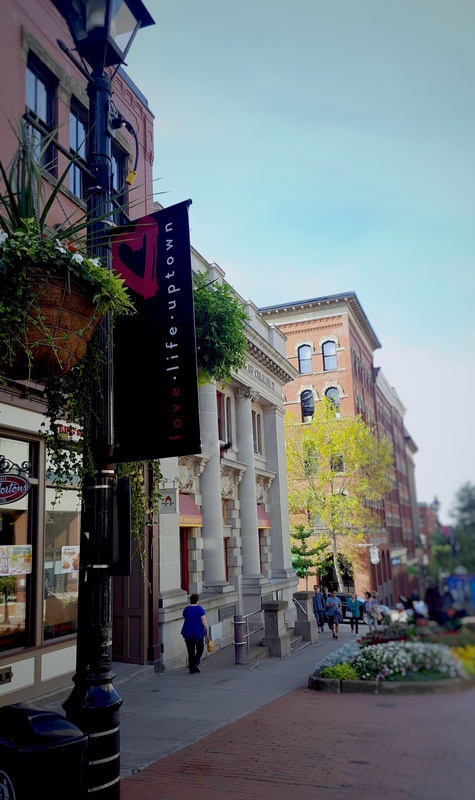 Modern, with a slight gritty edge, the message is to “Love Life Uptown,” whether it be while living, working, shopping, playing, or enjoying from afar – it encompasses the overall feeling that this population is embracing and truly loving our uptown core. Love of place is undeniable, and we are happy to support it in this visual way. Watch for these banners and the new gateway signs, and feel pride with us as a community! Executive Director, Nancy Tissington, with new gateway sign on Somerset Street. 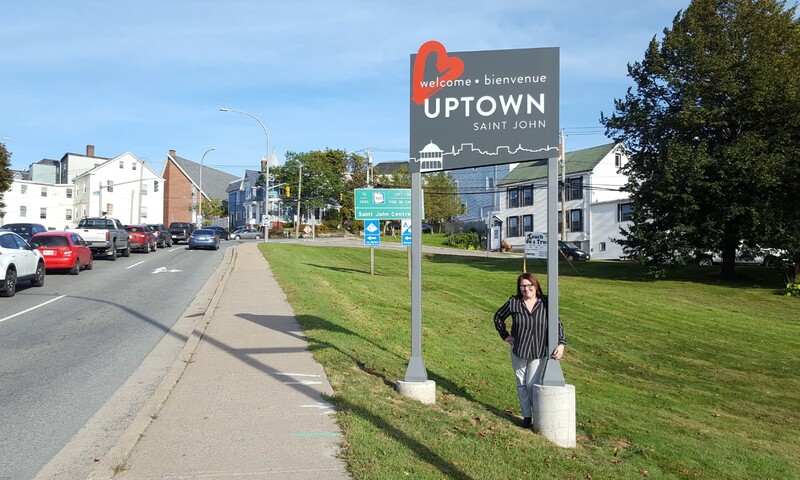 The post New Gateway Signs Welcome Folks Uptown appeared first on Uptown Saint John. This is a syndicated post. You can view the original post here: New Gateway Signs Welcome Folks Uptown.